Although this recipe uses fresh curry leaves, we rarely have access to them outside India. 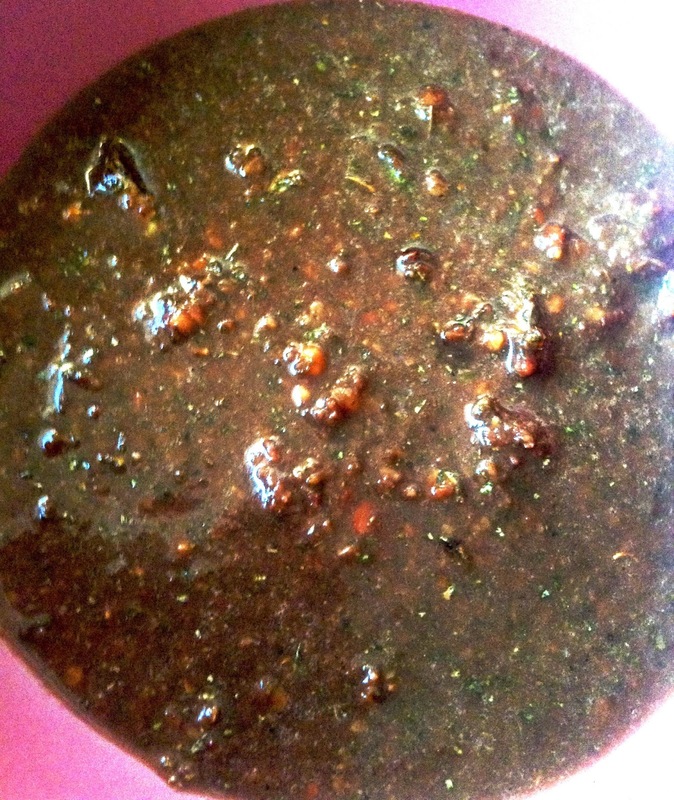 So I used the dried curry leaves for this chutney, hence the dark colour, and not even a good picture. It will have a green shade if fresh curry leaves are used. If using fresh curry leaves, dry roast them until crispy. I use dried, so I did not roast them, they are already dried and roasted. Heat 1 tsp. oil and add urad dal, fry until it becomes golden. Add asafoetida, coconut and green chilli. Fry for about 30 seconds. Cool and add to a mixer. Add salt and tamarind and grind together with the roasted curry leaves to form a smooth paste. Take out in a bowl. Heat 1 tsp. oil and crackle the mustard seeds. Pour over the chutney, mix and serve.